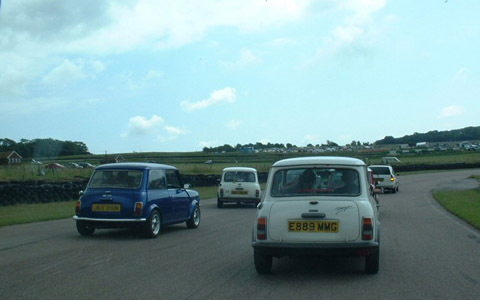 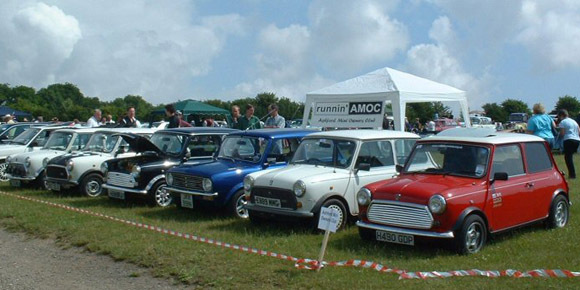 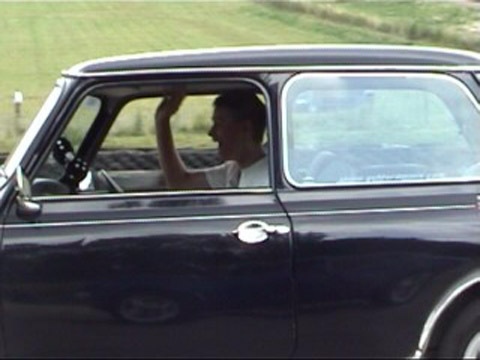 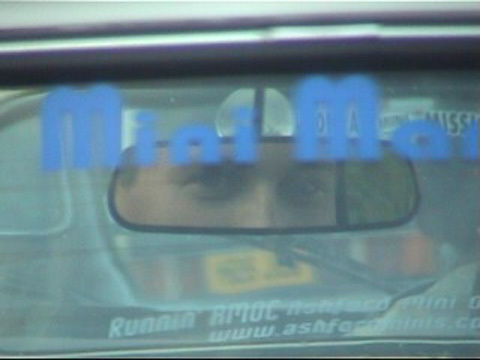 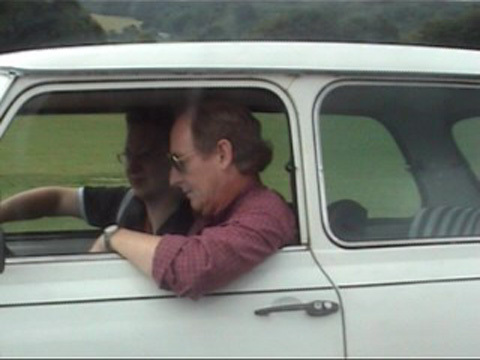 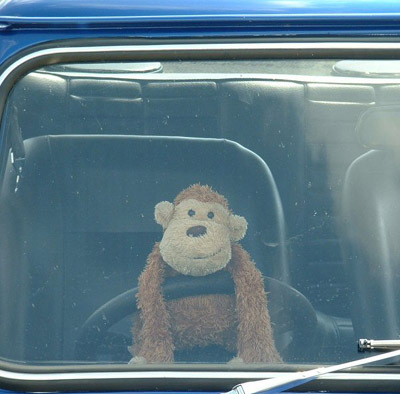 At about 11am there was going to be a couple of 'parade laps', yeh, right, get a bunch of Mini's on the track and they are just going to tootle round slowly ? 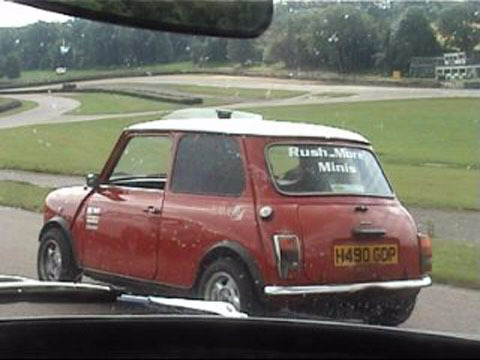 We got the club cars to the holding area first, and the Minis were ushered out onto the track behind a couple of pace cars with the Audi club behind us. 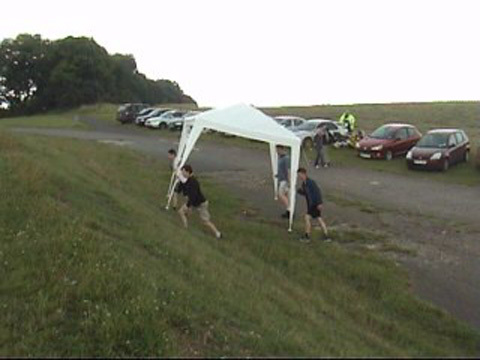 Now to make things a bit more interesting, our plan was to slowly drop back from the pace cars on the straights, then burn it round the corners to catch them up. 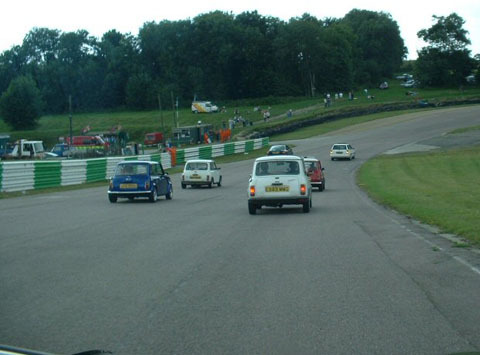 Unfortunately, the guys in the pace cars started getting a bit cross that we weren't keeping up, but when we were getting to the end of the first lap it made sense because there were still cars trying to get on to the circuit. 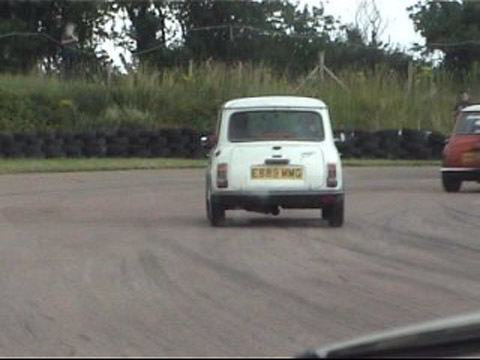 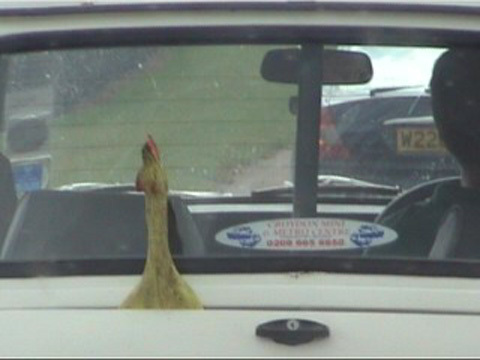 4 or 5 laps of Lydden for free was excellent value for money ! 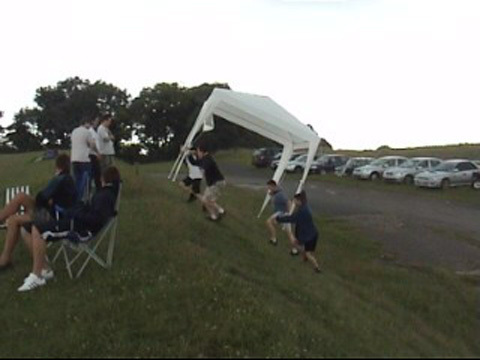 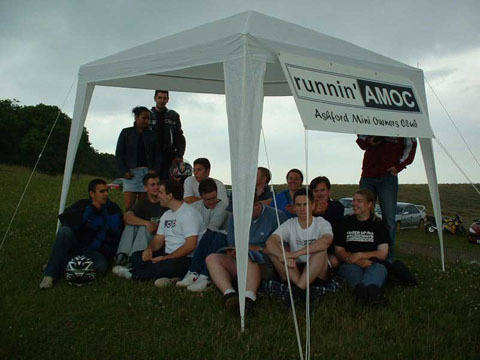 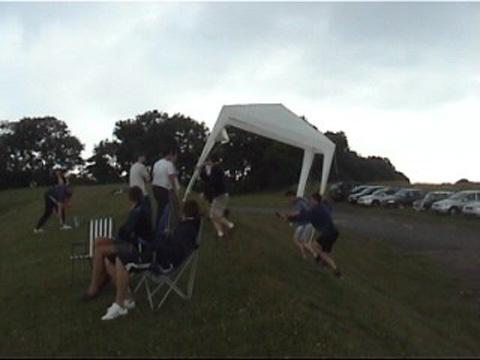 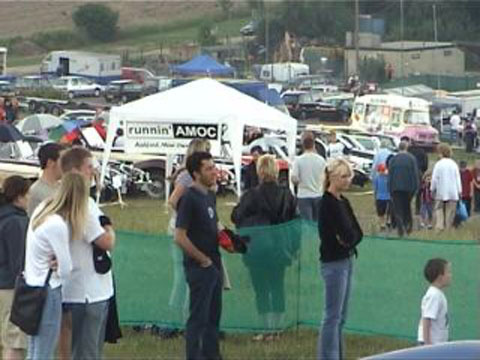 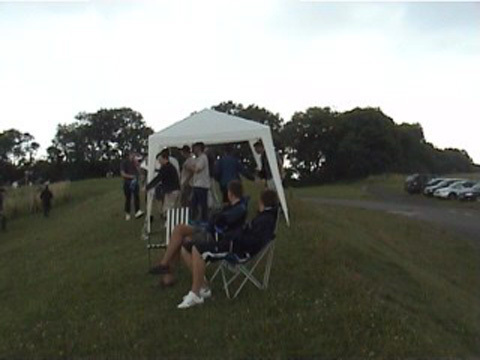 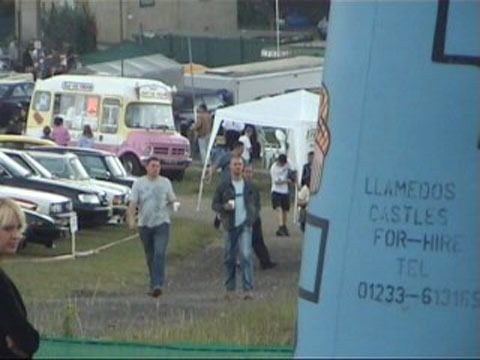 During the racing in the afternoon the cloud started coming in, bringing the threat of drizzly rain, so the AMOC gazebo was marched from the club stand to the and installed over the members who were watching the racing.